Adelaide Oval will become the first stadium in Australia to feature an integrated hotel. 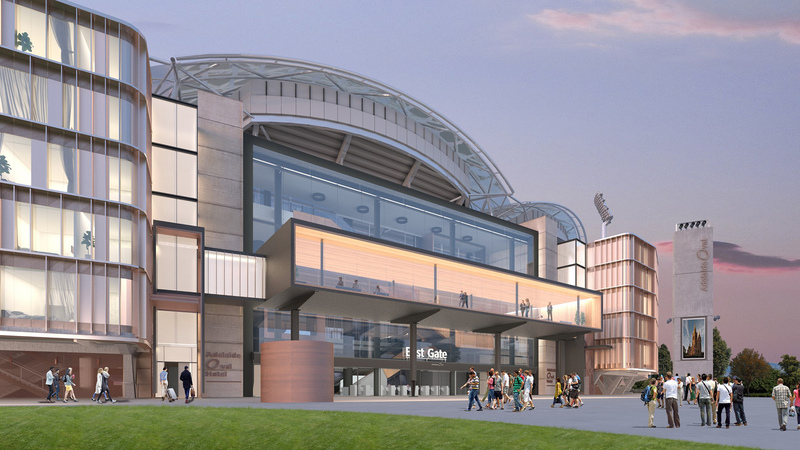 UNDER THE PLANS, THE BOUTIQUE 138-ROOM ADELAIDE OVAL HOTEL WILL BE INTEGRATED INTO THE EASTERN FAÇADE OF THE EXISTING STRUCTURE AND BE OPEN BY AUGUST 2020 IN TIME FOR THE ICC WORLD T20. The hotel will integrate with the Eastern Stand, celebrating its parkland setting and context. It maintains the current scale and proportion of built form, retaining views of the seating bowl and roof structure. Contained within the Adelaide Oval area, the hotel will not impact the parklands or the existing plaza. Rooms will have spectacular views, including St Peter’s Cathedral, Adelaide Parklands and the city skyline. Construction is anticipated to commence in May/June 2019 and is expected to be complete in June 2020 before opening in August 2020 in time for the ICC World T20. Why is Adelaide Oval planning to build a hotel? A boutique hotel is an innovation that will not only help offset the ongoing costs associated with operating and maintaining the stadium, but will also ensure Adelaide Oval stays at the forefront of innovation in what is an extremely competitive international event market. Adelaide Oval Hotel will be an important addition to South Australia’s $6.7 billion visitor economy, which is a critical driver of jobs and investment. The hotel will create 120 ongoing FTE roles. Who will manage and build the hotel? Adelaide Oval Hotel will be built and managed by the Adelaide Oval Stadium Management Authority. It will not be operated by an external provider, nor will it carry any large-scale external signage. A large number of Adelaide Oval staff members have extensive experience working in the four and five-star hotel and casino industry. The design is being overseen by COX Architecture and project managed by Mott MacDonald, the same team responsible for the award-winning redevelopment of Adelaide Oval. Will there be any impact of major event days? None of the stadium’s existing access/egress including the plaza and atrium entry are affected by the development. Planning is already underway to ensure the impact of construction on game day patrons arriving/leaving the stadium at the East Gate is kept at a minimum. What will the hotel look like? The hotel has been designed to fit as unobtrusively and seamlessly into the existing design as possible, retaining the magnificent views while not impacting the experience for game day patrons. The 138-room boutique hotel will feature two wings that will integrate into the existing design on either side of the East Gate. 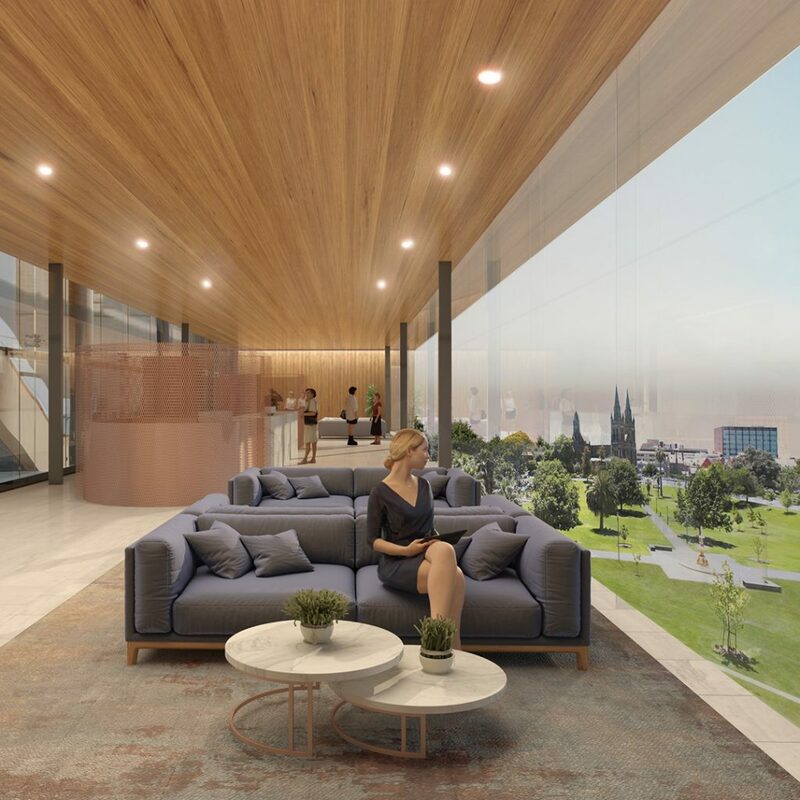 They will be linked by an elevated foyer and lounge pod with views into the east atrium and out to the parklands and city skyline. The design of the hotel has been extensively reviewed by the Office for Design and Architecture South Australia (ODASA) to ensure it complements the current outstanding Adelaide Oval design environment. How much will it cost to stay in the Adelaide Oval Hotel? To be the first to know when bookings become available, sign up to our mailing list here.